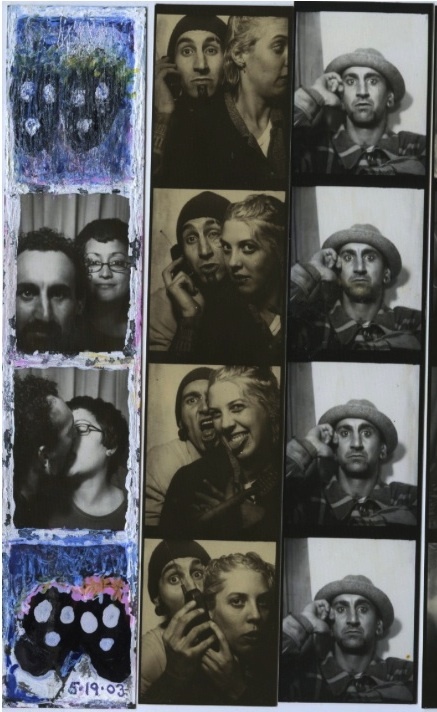 Below are two Polaroid photos showing Tattoo Man’s girlfriend sitting in a black and white photobooth. You can see the series of posts about him and his lady, here. These were sold by a different Ebay seller to the one from whom I bought my examples from the series. I was surprised and excited to find them. I was also convinced that there would be fierce competition for them in the last minutes of the auction, as there so often is with booth related ephemera. Luckily for me, I was the only bidder! 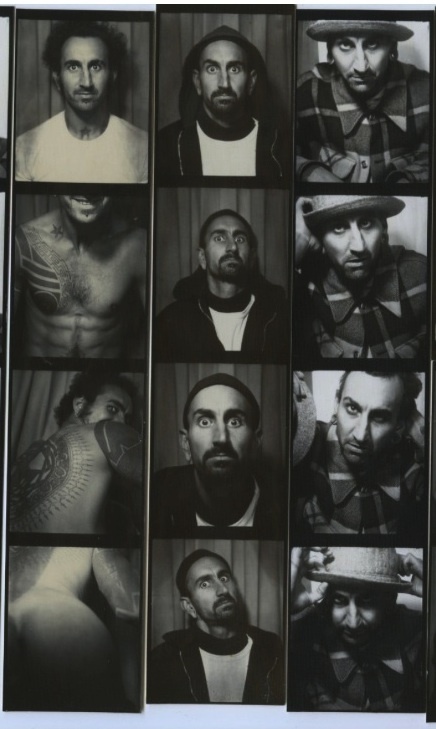 As you can see from the images, these were taken on the same day as the strip of photos at the top of the page. 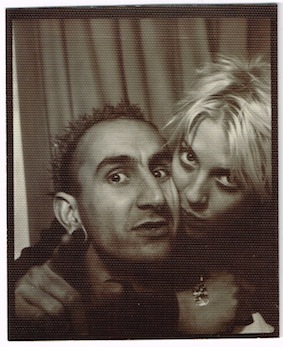 Given their love of photobooths and each other, this could only have been taken by Tattoo Man himself. 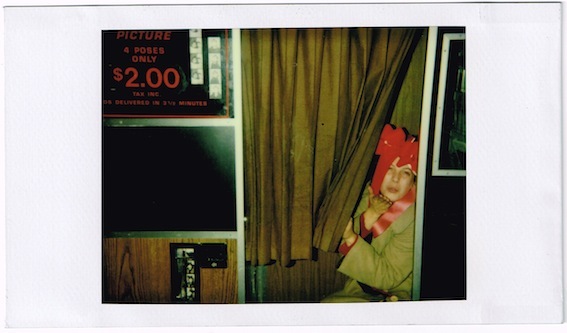 I love finding more information about the actual strips through these polaroids. Four poses for only two dollars, less than 15 years ago, sounds like a bargain to me. Also, it is clearer in the colour photos that the bow is one from a gift of some type, rather than a questionable fashion accessory. 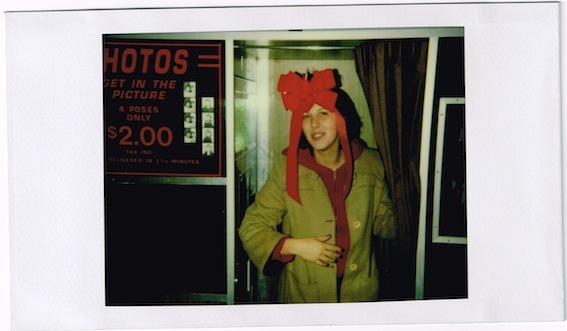 More information could be gleaned from the photos by someone, like Meags Fitzgerald, with more knowledge about photobooth models and their eras than I have. 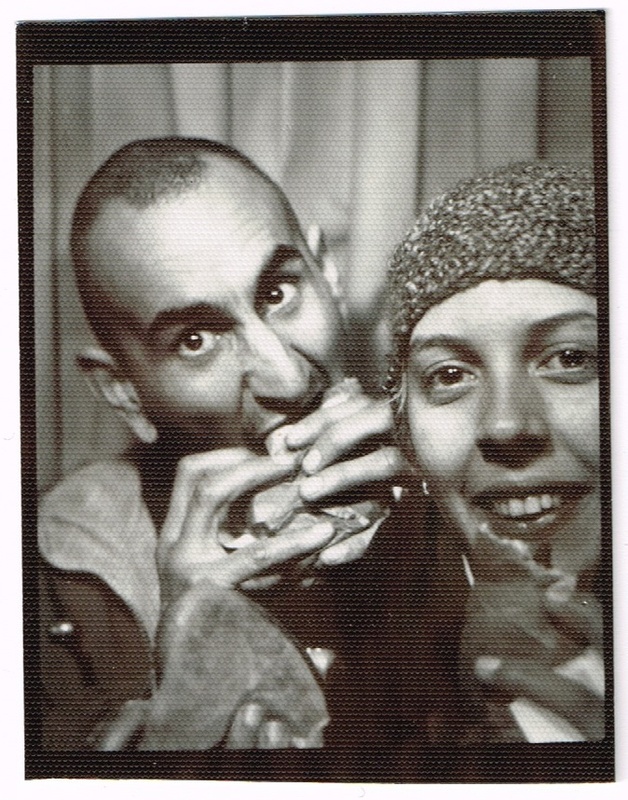 One of two new additions to my photobooth related ephemera collection. Detail from the top polaroid showing a strip of black and white photos ready to be collected. Here is USA Tattoo Man and his friend once more . I think he is eating a hamburger but it could just be a bagel or filled bread roll, judging by his friend’s wee morsel. As with the previous posts in the series, that you can see here and here, I only own the above photo. You can see it in its original context below. I have played with the tags in today’s edition. When I posted an image of myself eating a peanut butter dream bar, I added “woman eating a banana” to see how may extra hits it got. (You can read the story behind why I did that, here.) It turns out it is a rather successful ploy. My stats were very impressive for that day. So if you are here looking for a man/woman eating a sausage, or a man/woman eating a banana, sorry. You have been the victim of an extremely infantile prank – but hey, why were you searching under those tags anyway, hmm?? 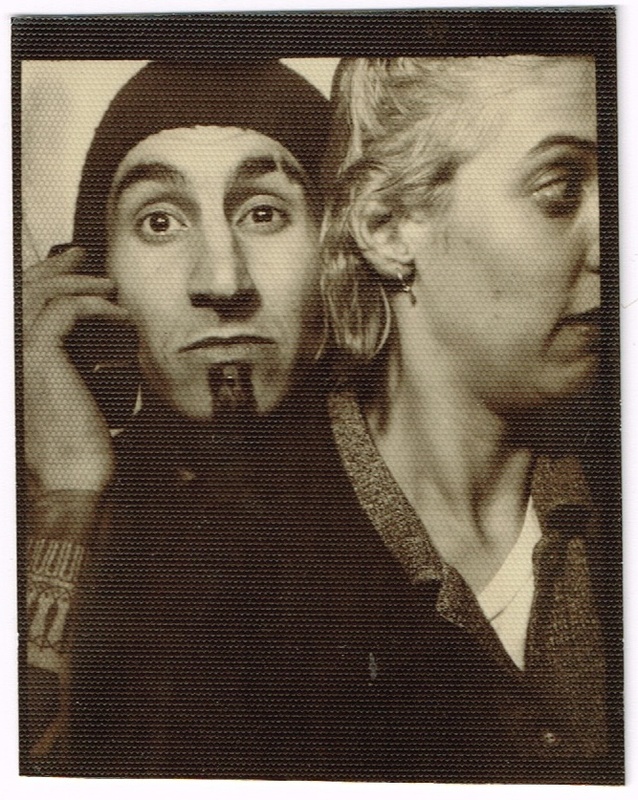 Following up from Part One, here is Tattoo Man on the phone in a photobooth with his partner. Once again I only own four individually cut photos from this series, this being the second of them. Here we have a magnificent, peacock like, display from a young American gent, taken around the turn of the millenium. 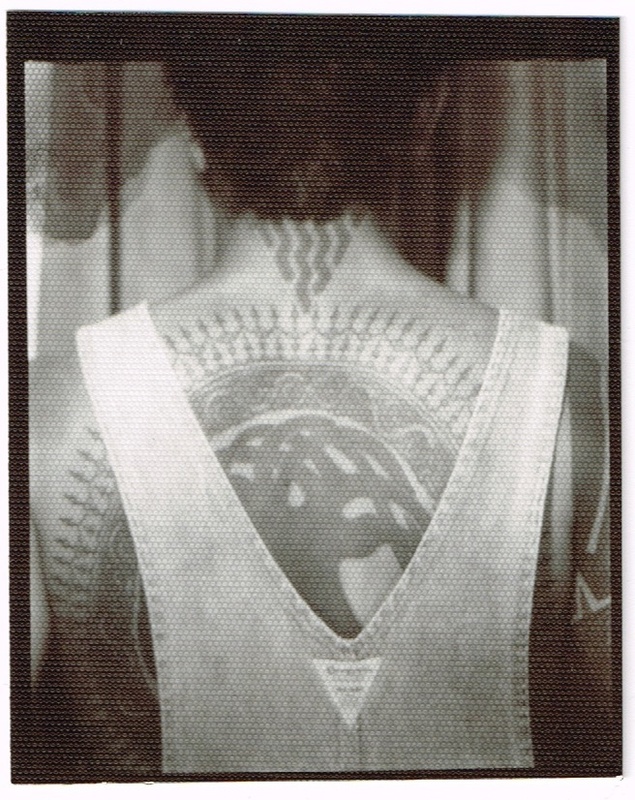 I would be curious to know if anyone can tell me what his tattoo might represent. 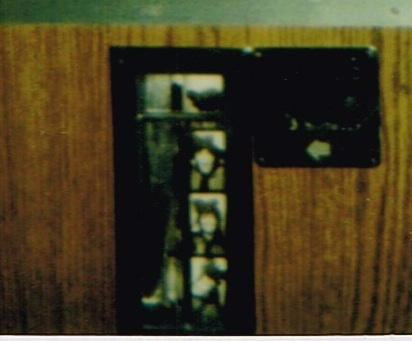 This is one of four photos that I purchased from a large series of individually cut photos, that were on Ebay some months ago. They were originally sold in complete strips by another seller, two of which you can see below, in low resolution scans. I missed out on the first auction, more’s the pity, but was able to take the grabs of the complete strips as a record of the original state of the items. Three more pics to follow soon.